Have you been thinking about buying a new car? You probably know that you have plenty of options in Estelle, LA, to choose from, so it can be hard deciding about what kind of ride you want to get. Why not opt for a luxury coupe? If you want the very best in comfort and style, this is the type of vehicle you should be looking at. Luckily, there is a wide range of luxury coupe dealers near you. Still need convincing? Take a look at why you should consider purchasing one of these cars. The main reason people think about buying a luxury coupe is the style. It’s going to be hard to find a vehicle that’s more stylish than this, no matter where you’re driving. Not only will the interior of your ride have everything you could ever want for a pleasant drive, but the outside will also look fantastic. Just picture yourself driving a coupe from a luxury automaker, and you’ll be out the door and into a dealership in no time. Some people in Estelle, LA, want a large car, so they can take their kids back and forth to school or run all of their other errands. However, for other people, a small car is more convenient. They don’t have to worry about driving a huge vehicle around, and they can fit into all the best parking places. If you’re looking for the latter, a coupe is the best way to go. Of course, you know that when you’re dealing with a luxury automaker, like Porsche, you’re going to get behind the wheel of an amazing vehicle, regardless of whether you choose a coupe or some other body style. If you want the very best in quality, this is an absolute must. You might be able to find a dependable car from some other brand, but you’re only going to get the best of the best when you buy a Porsche. Now that you know all the benefits of purchasing a luxury coupe, what are you waiting for? 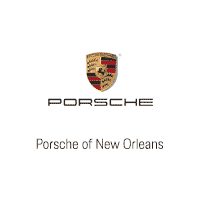 Come to Ray Brandt Porsche, and let one of our sales representatives show you cars that meet all of your needs, no matter what you want out of a ride.